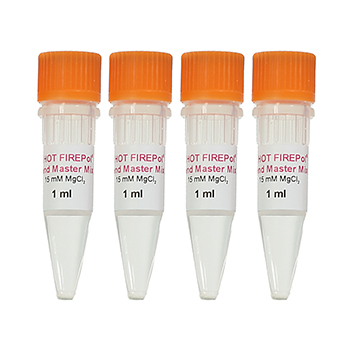 5x HOT FIREPol® Blend Master Mix is a premixed ready-to-use solution containing all reagents required for PCR (except template, primers and water). 04-27-00130 1 ml 5x PDF PDF PDF 27 EUR Login to buy! 04-27-02030 20 ml 5x PDF PDF PDF 460 EUR Login to buy! Shipping and temporary storage for up to 1 month at room temperature or storage for up to 12 months at 2-8ºC has no detrimental effects on the quality of 5x HOT FIREPol® Blend Master Mix.